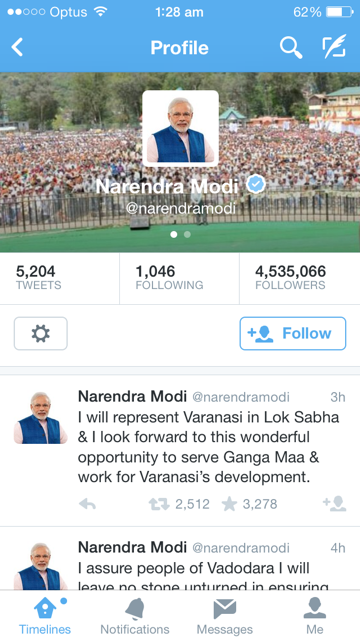 We know that Naerendra Modi was the one who came out on top, in the election and in the social media stakes. 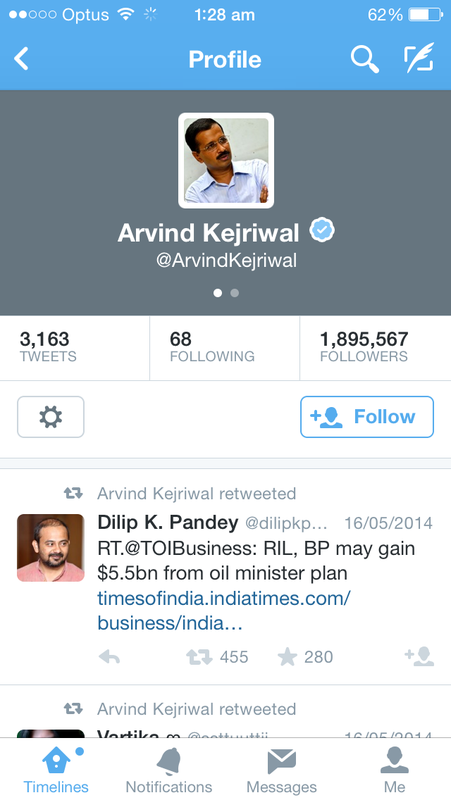 But how did the other politicians utilise social media and how did it work for them? Back in 2009 when social media was just beginning in India, Shashi Tharoor was the only politician in India to have a Twitter account. He had 6,000 followers. Now, 5 years on, there isn’t a political leader who doesn’t have a Facebook account. 2014 and social media is booming. 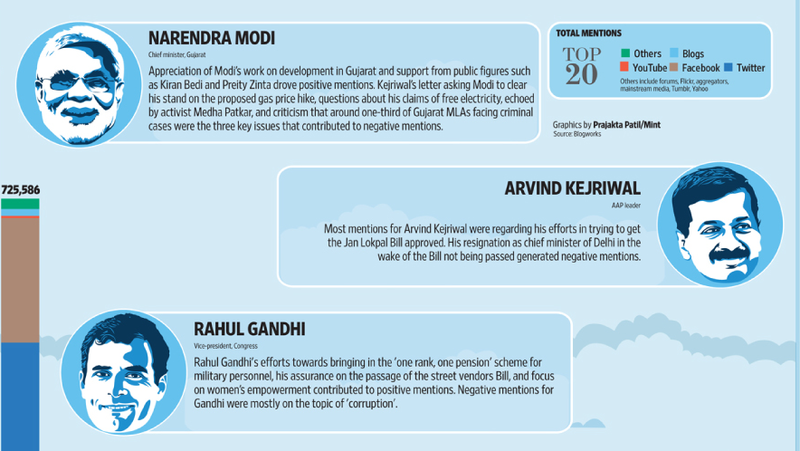 Arvind Kejriwal, Rahul Gandhi and Narendra Modi were all chasing each other to the top of the leader board for popularity among the public through followers on social media site Twitter. 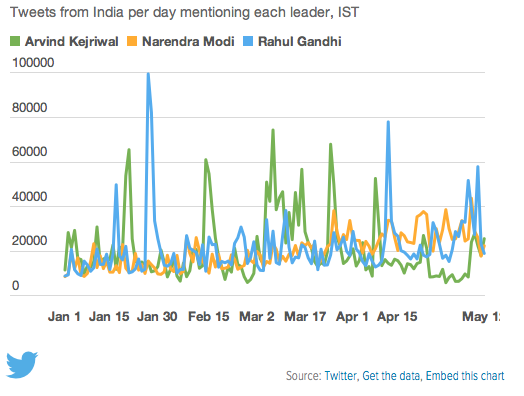 Modi had an astounding 14.3 million twitter followers compared to the 5.4 million of Kejriwal and Ghandi only scraping the barrel with just over 359k. Modi saw social media as an advantage to win over the Indian public especially the younger voters; unfortunately for his competitors they were unsure of the best way to execute a social media campaign as good as Modi’s. Encouraging discussions around jobs, education and corruption, Modi was able to grab the attention of voters contributing to his success in the election. Modi definitely had the right people working for him during the election. Young people absolutely love it and it’s the best way to interact with younger generations today. If you aren’t on Social Media, you practically don’t exist. 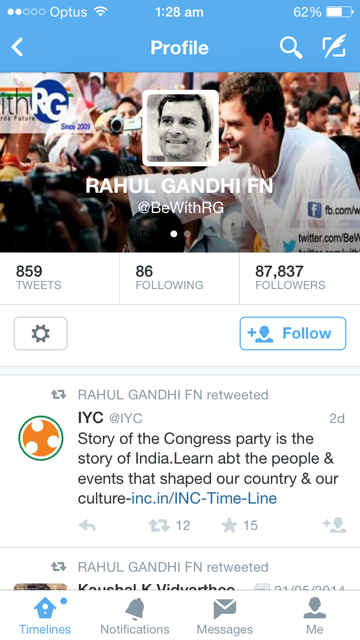 It is crazy to see such a dramatic difference in the followers between the leaders!